Rear Adm. Ronny Jackson, M.D., the official physician to the president, gave President Trump a clean bill of health Tuesday afternoon during the White House press briefing. 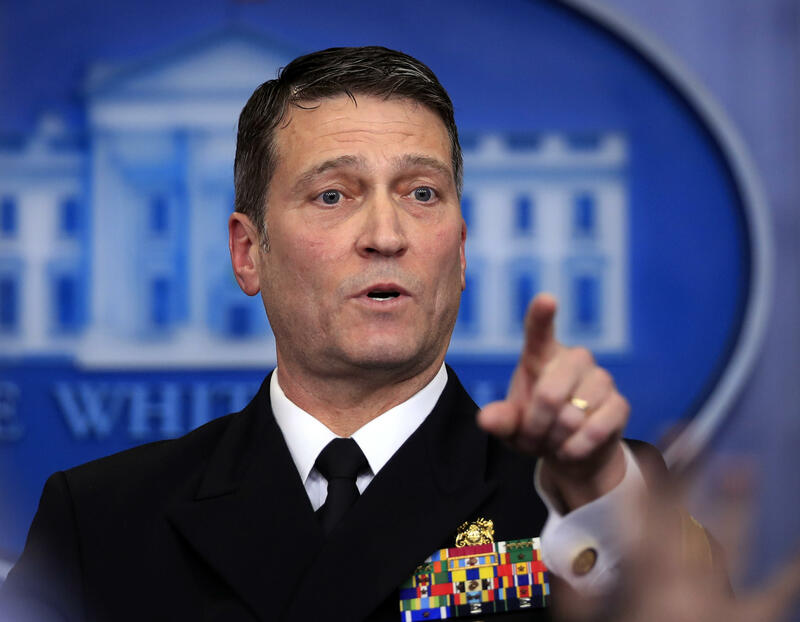 Jackson declared that all clinical data indicates Mr. Trump is "absolutely" fit for duty based on his assessment and that he will likely remain so for the duration of his presidency. Jackson also predicted the president would be physically fit enough to serve another term in office, should he choose to run for re-election. "Overall, he has very, very good health," Jackson said. Mr. Trump's physical also included a cognitive portion, and the president completed the Montreal Cognitive Assessment, which is often referred to as "MoCA." He received a 30/30 on the test, which would have detected any serious mental impairments, such as Alzheimer's disease. Anything scored above 26 is considered to be healthy, according to Jackson. "I have no reason to think whatsoever that the president has any issues with his thought process," Jackson said. Jackson explained that the MoCA cognitive screening is different from a psychiatric exam, but did not recommend any further testing of Mr. Trump's mental fitness based on his assessment. Mr. Trump currently takes Crestor, for lowering cholesterol; Aspirin; Propecia, for hair loss; Soolantra Cream for rosacea; and a multivitamin. While Jackson said that Mr. Trump's cardiac health stood out to him as particularly excellent, he advised that Mr. Trump lose 10-15 pounds and aim to lower his LDL cholesterol, which they are hoping to address with an increase in his Crestor medication. Jackson said that despite Mr. Trump's lack of an exercise and his penchant for fast food, the president is in excellent health, perhaps because of his "incredible genes." "That's just the way God made him," Jackson said. Jackson did recommended that the president improve his diet and start an aerobic exercise regimen. He will invite nutritionists to the White House to work with the chefs in developing a diet plan for the president that is lower in calories, fat and carbohydrates. Mr. Trump completed his physical on Friday, Jan. 12, 2018, marking his first medical check-up since becoming president. The exam lasted four hours and Jackson was assisted by 12 additional consultants. Jackson spent nearly an hour taking questions from reporters on the status of Mr. Trump's health and said that the president was very comfortable with his medical information being shared with the public. He added that the president directed him to answer every inquiry and instructed White House Press Secretary not to disrupt the questioning.